Bought by Thomas Myddelton for the sum of £5000 in 1595, Chirk Castle dates back to 1295 when it was built by Roger Mortimer de Chirk. Designed as one of a line of fortresses across North Wales for King Edward I, it is decidedly impressive and well worth a visit. Currently owned by the National Trust for Places of Historic Interest or Natural Beauty, the castle is open to the public from February to October and boasts well kept grounds and a rich history. Before you enter the castle grounds, make sure you keep your eyes peeled for the fantastic iron castle gates. Although they are so impressive that you can’t miss them! Bearing the Myddelton family coat of arms, the gates are dated 1719. If you get up close you will notice that the coat of arms has a bloody hand at its focal point. There is much mystery and many stories surrounding the origin of this symbol. See if you can decide which gory story is true. The Fortress is a must-see at Chirk with its dungeon and murder holes. The kids will love it here as they can meet the Fortress’ resident archer Will and see how it feels to wear armour. You can also see what you think of the medieval toilets. 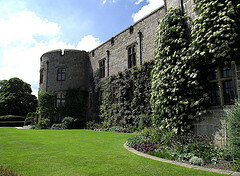 Chirk Castle isn’t just a fortress, however, it is a family home. The many State Rooms range in décor and design from Victorian gothic to Georgian. A particular favourite amongst visitors is the Long Gallery, created in the 17th Century. It boasts the King’s Cabinet – a stunning ebony cabinet inlaid with silver and a gift from King Charles II. 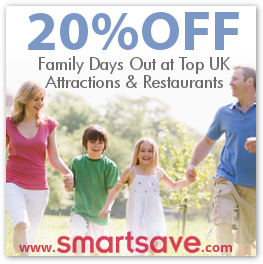 There is so much to explore at Chirk Castle that you can easy spend an entire day there. Once you’ve looked around the Castle’s interior, the 12 acre garden (described as ‘An idyllic Welsh Paradise’) also promises to be a delight. Opening Times: Castle, Gardens, Shop, Tea-room & Tower 10am-4pm. State Rooms 11am-4pm. Estate 7am-7pm. (open until 9pm June-August).